Just the other day I posted about how people need to not let their dogs approach other dogs on leash, even if they ‘think’ their dog is friendly. There is a good reason for that! Not every dog is friendly or wants to meet you. So, what do you do when your neighbor won’t put their dog on a leash at all and it runs at you and your reactive dog on leash? 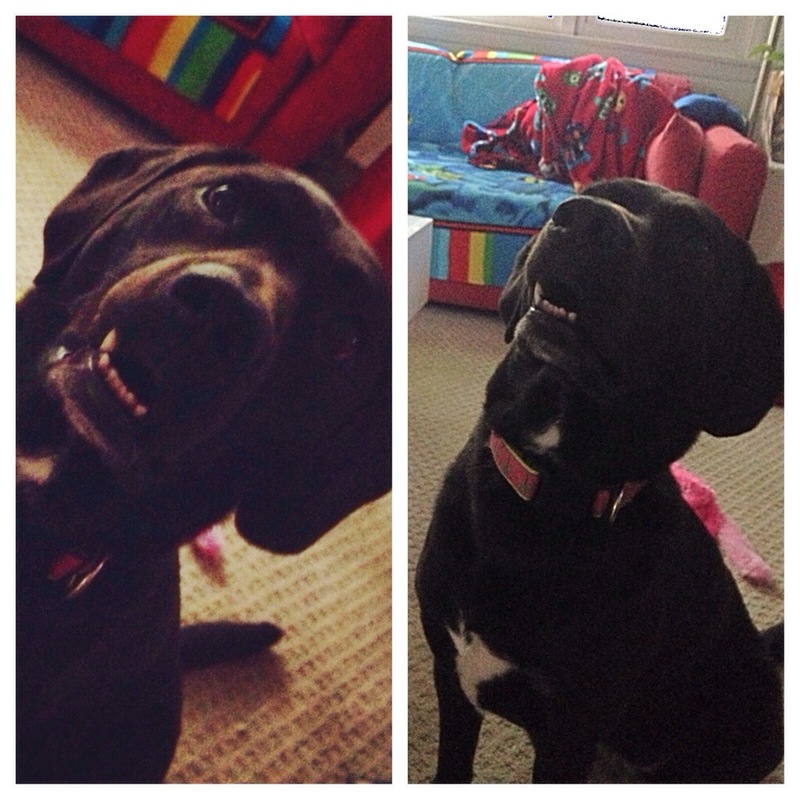 Yesterday my dog walker, Rachel, came in all shaken up after taking Louise for her morning walk. As you know, Lulu is nervous and leash reactive. There is a lady in my neighborhood who never walks her beautiful white golden retriever on leash. This dog, Carmel, runs all over lawns and poops wherever it wants. I have watched this for years (and it has always ticked me off – but that is for another blog). Usually, if I am walking the dogs and I see this dog (or any dog except one we know) coming, I turn around and go another way. Rachel was having a nice walk with Louise but then bounding out of someone’s yard from behind some bushes comes Carmel. Straight toward Rachel and Louise. The owner was several yards away paying no attention to her ‘at-large’ animal. Rachel yelled at the dog to stop and placed herself between Louise and this approaching train. Whether Carmel is friendly or not does not matter. No animal should be allowed to menace my dog walker, my dog, or me. The owner finally called her dog but not after it was right up on Rachel. If Louise had bitten that dog, it would be Louise they take away. Rachel is a wonderful dog walker (Simplifido is her company) and she takes protection of the dogs in her care very seriously. Seriously enough that she put herself between Louise and the approaching dog to protect Lulu. Rachel yelled at the lady to have her dog on leash and that it was the law, but I don’t think the lady cared. Rachel said she did not hear an apology or anything from the woman. (4) Do I post an open letter in the Community Newsletter? This would be cathartic for me, but I don’t know if anyone, besides me and the people that write it, reads the email from the neighborhood association. 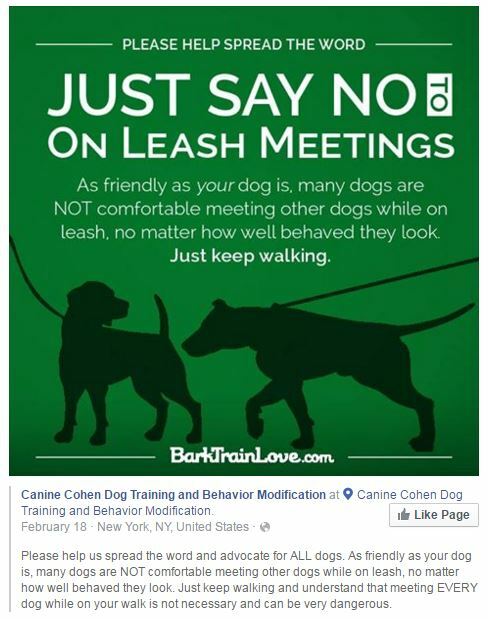 I’ve included a link to an informative article on dealing-with-off-leash-dogs. When I read stuff like this at least I don’t feel like I am the only person going through this. I don’t mind turning around to avoid other dogs, but it is so hard when pet owners are clueless of what that action means and just keep walking toward us. And worst, of course, is when they have a loose dog. Years ago I was a clueless pet owner too. My first few dogs were docile and easy going. Like most people, I had no reason to think about unfriendly, anxious, or aggressive dogs. I had never heard or experienced reactive dog issues. Education is key. We need to help people understand that in a community setting, dogs need to be leashed and kept at a distance unless otherwise discussed. I just encountered one today. A pit bull that stayed out front of it’s house, but the owner was no where to be seen. Thankfully Peanut is a 12 pound Poodle and so I picked her up when we were two houses down and carried her until I saw the dog go into the backyard. Still no owner in site. But I’m used to that now. Last year was a bigger issue when during our walk a Coyote came walking by our street while I was walking my dog. Peanut knew to not bark or anything. In fact she stayed completely still while the Coyote was walking by in the middle of the street. The Coyote looked like a dog at first, but Peanut knew better before I did. The first giveaway was that their ears are really big, like donkey ears or something. Wow. I wonder how Peanut knows. Smart dog. Yes I think she sensed that the Coyote was not something to mess with. My greyhounds have a natural instinct to chase small fluffy things and they are also trained to do this. They can grow out of this (mine have) but until they do, they have to wear muzzles in case small dogs run up to them. Most people would put their dogs back on their leads when they saw us coming because greyhounds are common in England and people know that they might lunge at little dogs. It’s possible that this lady doesn’t understand the difficulties she’s causing. I think the idea of sending her a letter is a good one. Maybe you could just print off a list of the best reasons for keeping dogs on a lead. Include pooping on gardens where children might play, getting hit by cars, having their dog snatched away etc. as well as the difficulties it causes for other dog owners. Finish the list with the point that they could be reported to the authorities. I love greyhounds and never thought about the chase instinct. I like your list idea and the running away fast. I am TERRIFIED of off-leash dogs. Cupcake was attacked by one the first year I had her. That will NEVER happen again. As soon as I see an off-leash dog, I pick her up and carry her. If I were you, I’d take pictures and report her. She’s breaking the law the same as if she were robbing a bank. It’s a law. Good luck. Keep us posted. Picking up 60 lb Louise and 55 lb Sofie might be tough- lol. I am so busy avoiding the dog I will have to figure out how to take pictures. Glad Mr Cupcake wasn’t hurt. Maybe you and your dog walker could go together and one can take the pictures. I would take video. I would speak with owner by letter or in person first if ignored then make a complaint. I’d report her to animal control. She’s breaking the law, your dog is in danger (as you said, if your pup reacted because her dog was off lead, it would be your dog in trouble) and it’s unfair that this is happening. You know her address so I’d definitely report her – if nothing gets done, just keep reporting her everytime you see her dog. We’ve reported one person for having an off lead dog come charging from their garden a few times, and they got a letter from animal control – it didn’t happen again. It is interesting the different rules in different areas. For some reason people think that their loving dog, to them, would not bother anyone. I guess in the olden days, when animals ran free through towns and villages, maybe they actually were more civil to other animals, since no one was on lead. Thanks for your thoughts – why no leash laws in UK? I wish that was true haha. We avoid walking our dogs in nice weather and we avoid popular dog walking spots altogether, there are so many badly trained off lead dogs…the vast majority are either overly friendly and have no idea of appropriate play, or they’re aggressive. 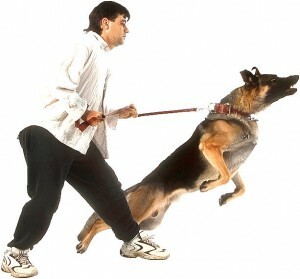 Walking our own dogs can be a bit of a nightmare because of the out of control dogs we have to avoid. We are one friendly, and one unfriendly, so on leash meetings are always discouraged but some people just don’t get it! Same here, except Sofie can be iffy if the other dog is to energetic (like a puppy). I will usually put Sofie out front so the dog goes to her with Louise behind me. You are so right, people do not get it! Oooooo this is such a heated topic for me. Storm is a bully breed so if she were to get into a fight with an off leashed dog, they would take one look at her and have her euthanized even if she was just trying to protect herself. I have somewhat been dealing with this issue only with another bulldog. He is infatuated with Storm so I literally have to pick up some of his sh*t everyday. There has been a couple times where they came looking for him & got him from my yard or I have had to bring him back. From my experience, they don’t learn or care so it’s best to call animal control (or landlord in my case). Many people think Louise has pit bull in her, which she may. Around here (and maybe everywhere) people are fast to characterize the bully breeds as aggressive (which we know is trained not innate). Humans are the problem, that is clear. Keep Storm safe. Reading this makes me mad for you. I would opt for talking with her face to face first. Maybe no one has ever done that. And if that does not work I would probably file a complaint as long as it was anonymous, meaning they do not divulge your name to the offender, I would be concerned with retaliation. My concern would be what happens if she gets another dog when this one dies. If so it could be worse. And I guess if all else fails you could always try PetSafe Spray Shield Animal Deterrent Spray, won’t hurt the dog but might make it think twice about approaching you. Thanks for your thoughts. I am afraid about a new dog too. I used to walk Sofie off lead all the time and she was next to me and Louise. Then one day a neighbor yelled at me (really for no reason except that we have a leash law, but maybe she was scared of dogs) so I started walking Sofie on lead. I bet Benn doesn’t charge at unsuspecting people walking by though. I don’t mind of leash (and applaud those of us that have dogs that heed commands), but running amok is my concern. Thanks for your comments. I get so annoyed when people let their dogs loose! When I have spoken to someone who walks a dog without a lease, they say that the dog stays with them and would never run off. Famous last words. It takes just a quick second for the dog to run out into the street, get into a fight with another dog, or having a bad interaction with a child (My sister was bit by a beagle named Muffin, that would run our neighborhood when we were kids! won’t ever forget that dog). At the very least, I would say something to this dog owner, and maybe see if anyone else in your neighborhood as had the same experience, group together and attack back! Also another random note about leashed meetings. Don’t do it while at the vet’s office! I recently took my beagle to the vet and a woman with a puppy came in and wanted to have our dogs to meet. My dog is very anxious at the vet and unpredictable, so i said no. Then she goes further into the lobby and asks a man with a boxer if they can meet, he says sure. In a few minutes the boxer went after the spaniel puppy growling and barking. Not a good idea! OMDog! The vet is the last place to socialize. I keep the girls in the car until they are ready for them and then whisk them back in the car when they are done and come back in to pay. If we could smell what they do at the doctor’s office, we would never go in. Thanks for your thoughts. Humans think they have way more control over their pets than they really do. I think that is mostly because they train in non-reactive/distraction situations. I don’t want to talk with anyone either. Thanks. I am afraid of that too. I’m dealing with a family who doesn’t think their 90 b lab female needs a leash if the family is all outside together. It’s a challenge for our evening walks.